The health care sector is one sixth of the US economy. Those making decisions need to be educated about how this behemoth works. What are the cost drivers? Where are the inefficiencies? What are the relationships between interest groups—such as the pharmaceutical, medical device, hospital and insurance lobbies—and legislators in Washington, DC? Fortunately, there are several books in print now that address these questions. 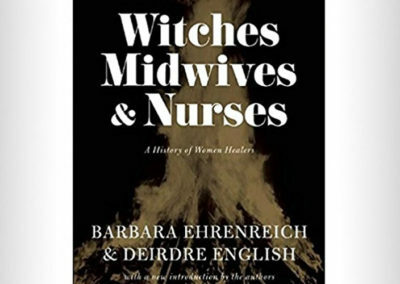 One excellent example, recently published, is An American Sickness by Elisabeth Rosenthal. Rosenthal breaks the health care industry down into its various parts. She describes its evolution along with the current reality, in which coverage has been getting worse, as it simultaneously becomes more and more expensive. The Healing of America: A Global Quest for Better, Cheaper, and Fairer Health Care is another. In a clear writing style, T.R. Reid surveys a broad selection of well-established health care systems in other countries—including Great Britain, Canada, Germany, Switzerland, and Japan. He also examines the systems of more recently industrialized countries, such as Taiwan and Singapore. Reid challenges a binary that has been central in our national conversation; i.e., that there are just two ways to approach health care coverage. First, there is the “free market” system, with its multiple private insurance companies. Most in government believe we should strengthen that system. The flip side of that binary is “socialized” medicine, sometimes called “Medicare-For-All.” This is a single payer system, with the federal government taking over the function of the private insurers. Reid deconstructs this binary by pointing out that, within the U.S. itself, we have more than those two models operating simultaneously. Along with Medicare and the private insurance model we have the Veterans Administration system, in which the Federal government employs all of the doctors and support personnel. Then there are Medicaid programs, which provide coverage for low income people. These are jointly funded by the federal and state governments, and managed by each state. Finally, we have the Workers Compensation system, a state/private hybrid. Reid asserts that the presence of so many different systems within a system is one of the factors contributing to the high cost of our care. The duplication of administrative services alone adds significantly to per capita costs. Reid’s survey of the various models is cleverly framed by his search for treatment for his chronic shoulder problem. He visits doctors in different countries to see what their approach would be for his medical condition, and to see if and how different reimbursement mechanisms impact those treatment options. Although he was not actually treated for the condition in each of the countries, he was examined and received recommendations for care in each place. In Canada, a single payer country, he found that he would be put on a long waiting list (up to a year) before he would be seen by a doctor. (If he was he having a heart attack, he would be seen immediately.) In Great Britain, where the National Health Service employs almost all of the health care providers (except for those doctors who opt out of the system and are paid directly out of pocket), he would be sent for physical therapy. In Germany, he would be able to get a shoulder replacement. (The German system is built upon multiple private insurance companies. However, those companies are not allowed to make profits and the reimbursements are carefully controlled by the government, so incentives for performing the procedures are diminished.) The variations go on and on, from country to country, with ideas borrowed widely. For example, Japan has borrowed heavily from Germany, Taiwan from Canada and Spain from Great Britain. The one thing that did not vary was that all of the industrialized countries he visited provided some level of low cost health care to all of their citizens: universal coverage. Reid found that the starting point of any conversation with doctors and systems design experts was a moral one. What is the responsibility of a government to its people? In our national health care debate, the discussion is generally constrained by economic questions. How can universal care be provided without adding trillions of dollars to the deficit? Who will pay for it? When the numbers roll in, the conversation often stops right there. But in those countries where it was agreed that the government has a moral obligation to provide care—where health care is determined to be a right rather than a privilege—the question becomes: How do we provide that care? Many would suggest that Barack Obama’s great achievement in pushing through the ACA was to help create some consensus around that moral question. The United States spends more per capita on health care than any other industrialized nation. Yet our health outcomes—from infant mortality to healthy longevity, from access to care to avoidable mortality—fall well below other countries that spend far less. Reid lays out the many reasons for these outcomes. The Healing of America suggests that there are many ways to progress from our fragmented, inefficient system to one that provides quality care for all our citizens at lower cost. We can borrow from other successful systems and integrate them into our own. For example, we can keep the private insurance companies, but have them become non-profits, thus reducing the need to satisfy stock holders. We can use the bargaining power of Medicare to reduce the cost of pharmaceuticals and medical devices. We can create a “public option”, enabling people to buy into the Single Payer Medicare system and have the private insurers sell supplemental policies. 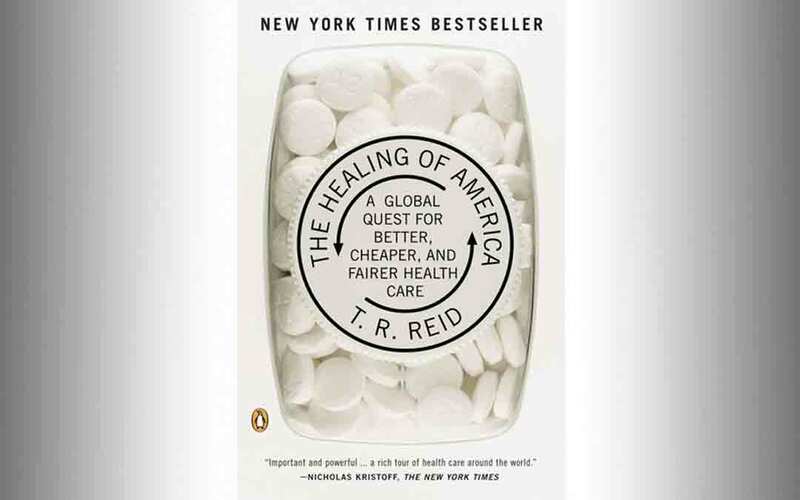 Reid’s book should be required reading for anyone seeking to understand and shape our future health care system. Dr. Ricky Fishman has been a San Francisco based Chiropractor since 1986. In addition to the treatment of back pain and other musculoskeletal injuries, he works as a consultant in the field of health and wellness with companies dedicated to re-visioning health care for the 21st century. He is also the founder of “Condition”, a health news and information website.